Kids Learn How They Fit into God’s Plan! Middle Elementary kids have fun while they’re learning important truths! 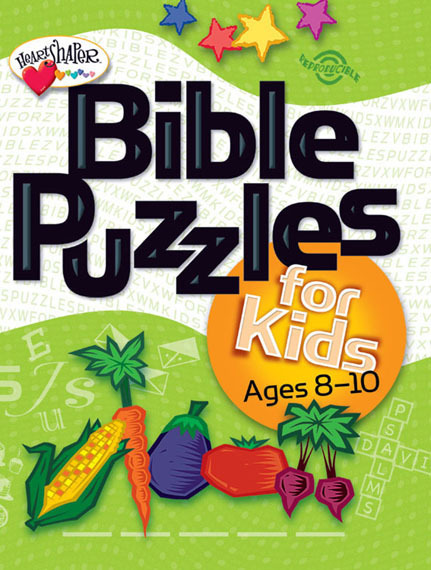 Actively engage kids as they further develop Bible skills, explore Bible chronology, and learn how they fit into God’s plan. Simplify lesson planning with 1 easy kit! 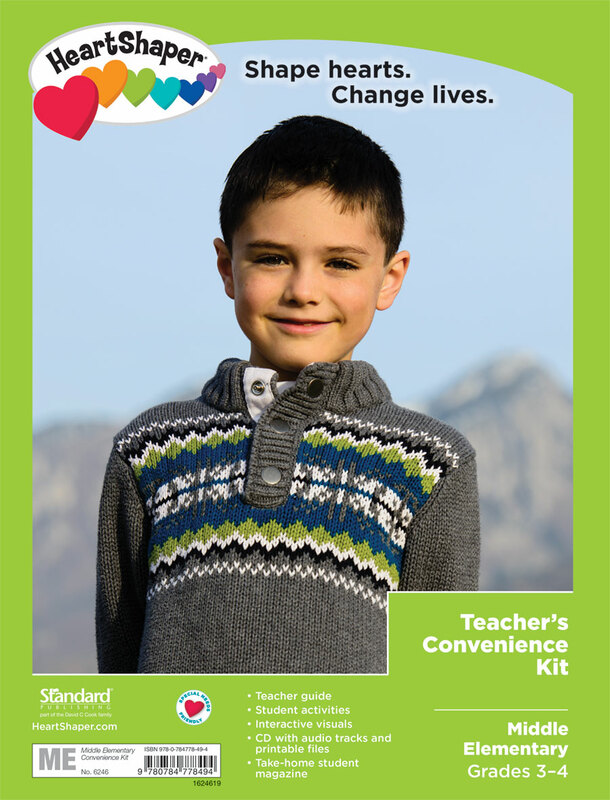 The kit includes Middle Elementary Teacher Guide, Resources, Middle Elementary Activities, and 1 set of Kidz Chat® take-home magazine. Order 1 kit per class. Available in print or as a PDF download for a single user or multiple users. Options are available when making your selection in the store. 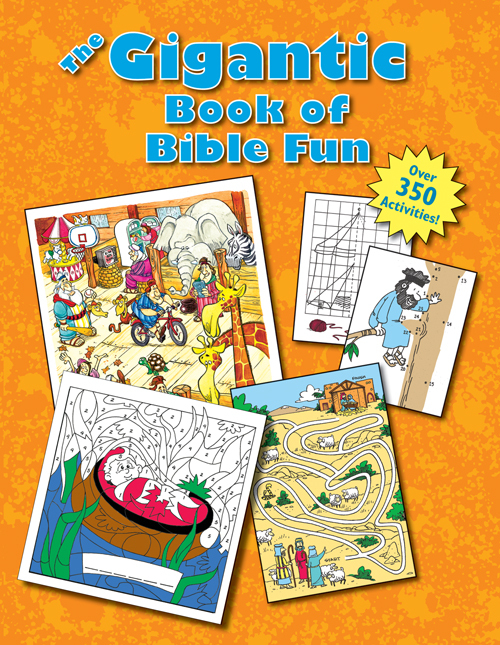 Takes kids on 2 chronological journeys through the Bible! 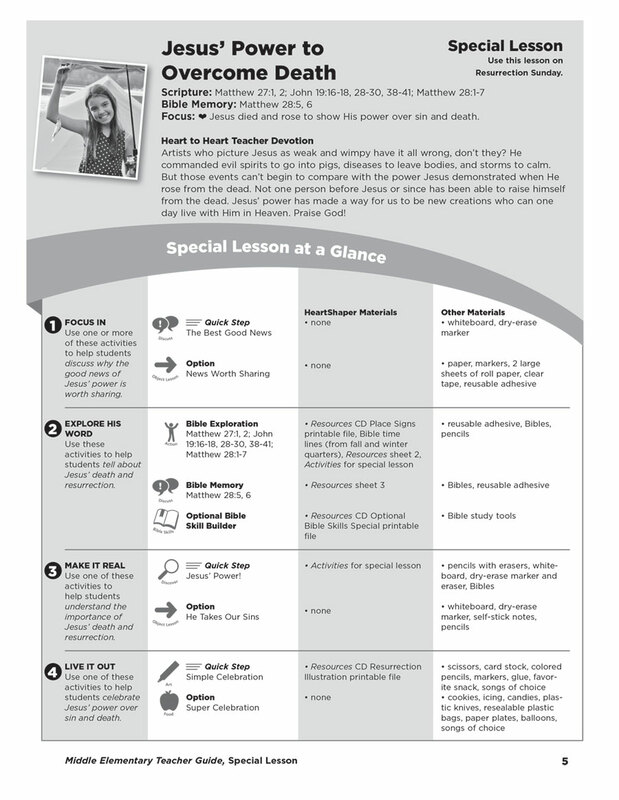 Lessons are easy to prepare and include Quick Steps™ and lots of options. 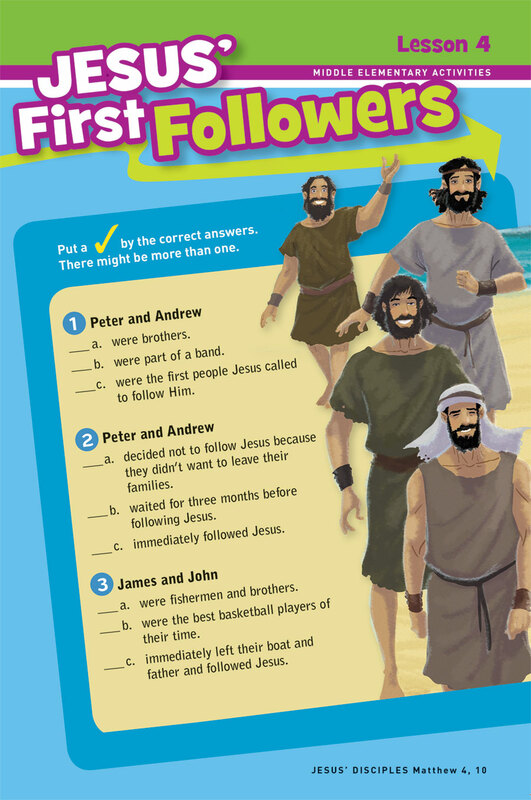 Participatory Bible stories, integrated Bible skills, and 1 focus per lesson make every week memorable for kids. Teaching tips, media options, unit ideas, and service projects are also included. Activities are designed for any class size, and special-needs-friendly activities are identified in each lesson! Order 1 per teacher. Available in print, as a Microsoft® Word download, or as a PDF download. Options are available for a single user or multiple users when making your selection in the store. Add to your lessons with these multisensory teaching tools! 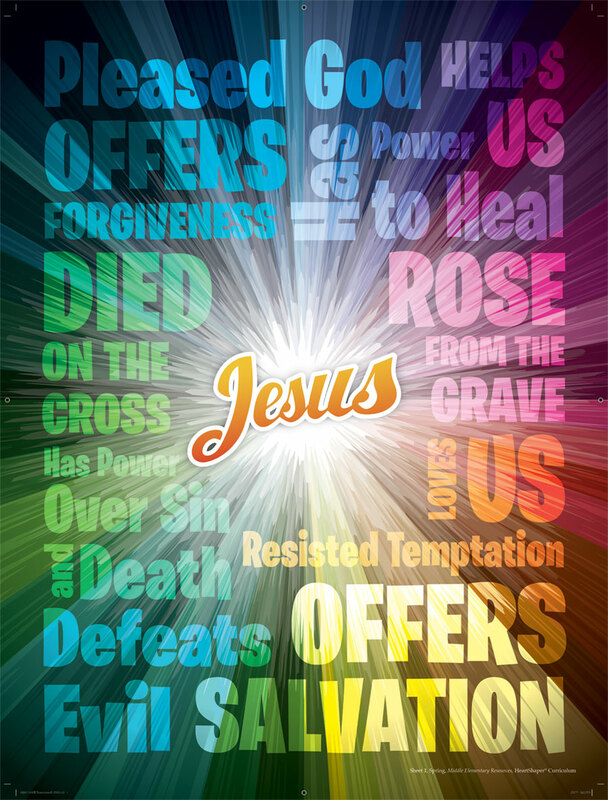 Large visual sheets include Bible time lines, Bible Memory posters, maps, and other visuals. The CD includes both audio tracks and printable files—skits and readings, reproducible student activities, special-needs helps, and teacher helps. Order 1 per class. 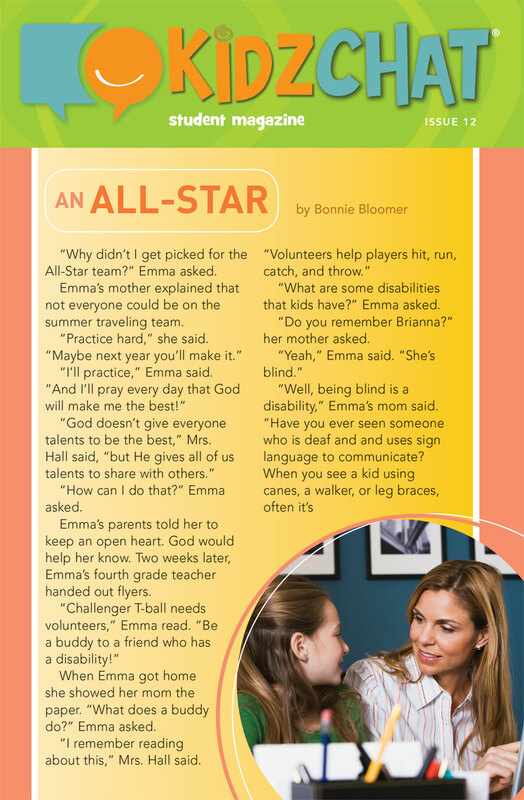 Kidz Chat is a weekly magazine designed for 3rd and 4th graders! Each issue includes short stories that kids can relate to, Just for Fun puzzles and activities, a weekly cartoon, and challenging questions! It’s a great way to send the lesson home or share the lesson with kids who were absent. Order 1 set for every 5 students. Looking for more activities for your 3rd and 4th grade classes? These activity books are loaded with reproducible pages to make sure you never run out of resources. The table of contents helps you easily tie each activity to a lesson. Each activity is also correlated with HeartShaper® Children’s Curriculum. 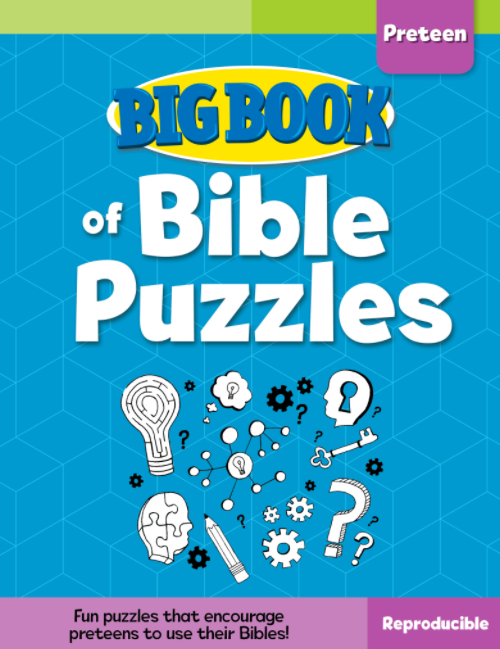 This book contains word codes, mazes, crosswords, and word searches that help middle elementary children enjoy learning God’s Word.